Throughout the years this stone-built cottage on the side of Hendford Hill by the entrance to Lovers' Lane was known by a series of names; The Cottage, Hendford Hill Cottage, The Lodge and Braggchurch Lodge, but was familiarly known as Swiss Cottage from its quaint appearance enhanced by intricately decorated barge boards. During the 1830s this was the home of Yeovil surgeon John Penkivil and his wife Elizabeth, the daughter of surgeon Thomas Shorland Snr. Elizabeth died here on 25 September 1839. In the 1846 Tithe Apportionment it was recorded simply as "Cottage, Plantation, etc." and it was noted that the owner-occupier was Frederick Greenham although the Poll Book of 1846 shows that Frederick Greenham was at that time actually living in Hendford House (now the Manor Hotel) in Hendford. Whitby's Yeovil Almanack Advertiser of 1882 listed the property as 28 Hendford Hill with John Finch noted as the occupier. 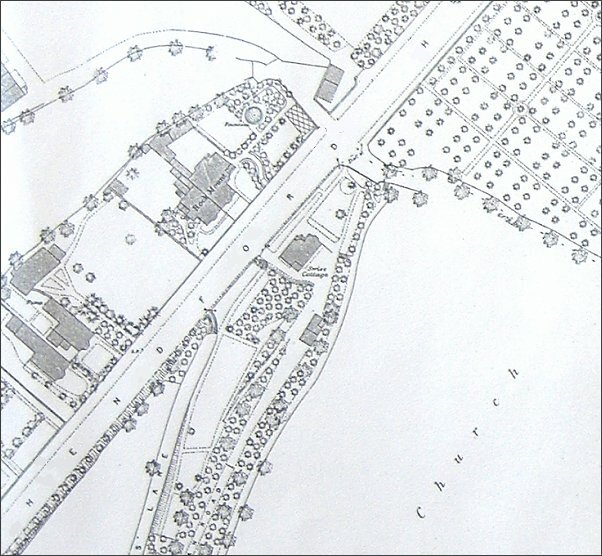 The 1886 Ordnance Survey showed the property as Swiss Cottage. Collins' Directory of 1907 recorded it as 'The Lodge' with the Misses Langdon as residents but in 1911 Whitby's Yeovil Almanack Advertiser again listed the property as 28 Hendford Hill with a Miss Langford in residence. Between 1934 and 1938 various editions of the Yeovil & District Directory recorded the property as Bragg Church Lodge occupied by O'Moore F Phillips. The property was later re-numbered and appeared as 95 Hendford Hill in Snell's Directory of 1954-5, occupied by William G Adam. Foord's Directory of 1964-5 noted that Doris V Adams was the occupier. 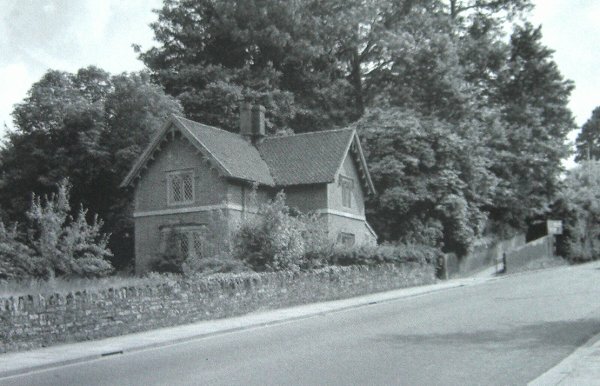 The cottage was demolished in the early 1970s. Map based on the 1886 Ordnance Survey showing Swiss Cottage at centre and noted as such on this 6" map, although named as Braggchurch Cottage on the 1/500 edition.